Have you ever wanted to learn sign language? Follow American Ninja Warrior competitor, Kyle Schulze, also known as Deaf Ninja, as he teaches various signs on social media! Kyle posts a weekly series titled “Sign Language Sundays”. Kyle was born with a profound hearing loss, but he was three years old before it was discovered. He now uses speech, lip-reading, and American Sign Language to communicate, and he considers both English and sign language to be his primary modes of communication. Growing up, Kyle was often frustrated with people’s lack of flexibility in relation to his hearing loss. Kyle hopes to improve the experiences of others by spreading hearing loss awareness and a message of acceptance and equality. We love that the first word he taught everyone was ninja! We also love that the logo on Kyle’s shirt represents the sign for ninja. Many of Kyle’s sign language posts include his well-known American Ninja Warrior buddies, learning a sign that is relevant to them specifically. Guess what sign he taught Nick Hanson. Then click on the post below to see if you were right! What signs do you think he taught Joe Moravsky and Matt Iseman? Take a look at the posts below for the correct answers. Check out Kyle’s Instagram for more signs with other favorite ninjas such as Drew Drechsel, Tiana Webberley, Michelle Warnky, Najee Richardson and many more. 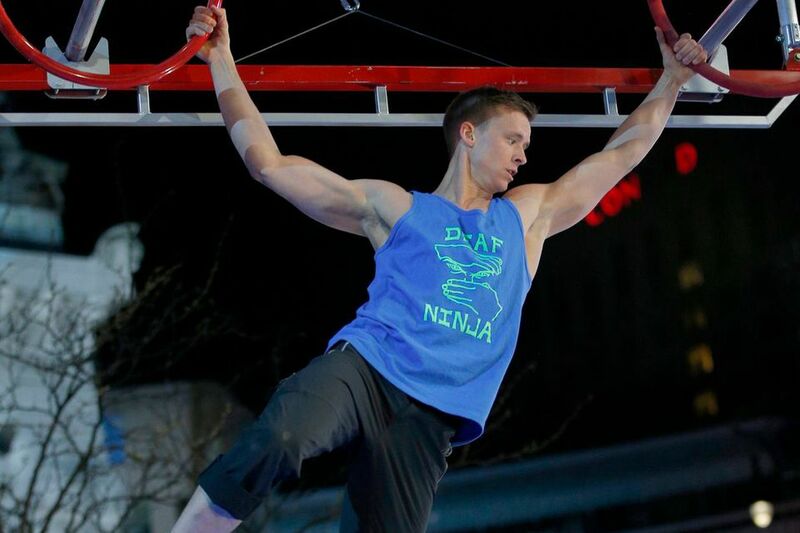 Kyle recently got the call for American Ninja Warrior Season 11, which means he will be making his 3rd appearance on the show. We think this calls for a dance party!